NetHosting analyzes ecommerce and social media site, Polyvore, in its latest case study. We were interested in studying how [Polyvore's] servers managed a large database combined with a large social aspect. NetHosting, a leading provider of dedicated, cloud, and virtual hosting has published a case study on the Polyvore, an ecommerce site combined with social media, examining its servers and hosting capabilities. Polyvore was founded by former Yahoo software engineer Pasha Sadri in 2006 and has since partnered with multiple designers and companies to produce sponsored contests, advertising, and even a runway show similar to Mercedes Benz Fashion Week. 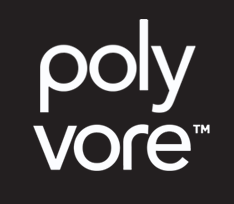 With 20 million unique visitors every month and multiple investors, Polyvore has 90% gross margins. The site is designed to bring fashion to the masses, allowing users to create their outfits and share them with other Polyvore fans. The goal of Polyvore creators is to bring about a "fashion democracy," spreading the artistry of fashion out of Milan, Paris, and New York City and putting it in the hands of Internet users. Polyvore also boasts the creation of the "clipper," a software tool that works as digital scissors to cut content from within an image. "Polyvore has created an innovative way to bring merchandise to potential customers. Combining social networking and creativity with ecommerce has quickly made it an online fashion tycoon," commented NetHosting CEO Lane Livingston. "We were interested in studying how their servers managed a large database combined with a large social aspect." In addition to investigating Polyvore, NetHosting has also reported on the movie and celebrity database of IMDB.com and ecommerce site Woot! NetHosting has delivered custom hosting solutions for nearly fifteen years. Serving enterprises of every size, its products include a broad range of cloud hosting and storage options as well as dedicated, managed, and virtual hosting services. Housed within a state-of-the-art PCI certified data center, each service is packaged with a 100% uptime guarantee and the personal support of a Dedicated Expert™. Curious to know what sets NetHosting’s Dedicated Experts apart from other support teams? Find out at http://www.NetHosting.com or follow us @nethosting on Twitter.